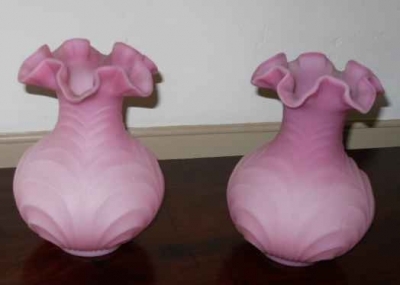 Pair of pink satin glass vases. Deeply ruffled top over a swirled bulbous base. Circa 1880. Please call (804) 684-5195 for pricing and delivery options.